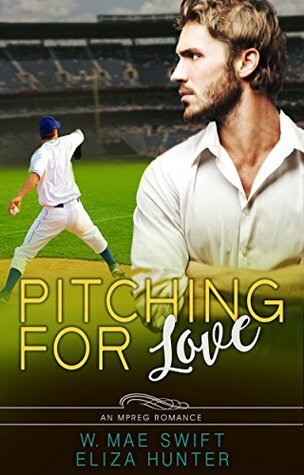 Pitching For Love Review ~ Good collaboration … 9 out of 10! Cover Art: The background is a baseball stadium with a pitcher in uniform. On the right foreground is a man looking on, wearing a white dress shirt. The font for this title works well with the contents and the author names are easy to read. I liked the way the Mpreg was placed on the cover. Synopsis: The blurb matches the story. There is no warning of sexually explicit adult content. Plot: Two men from two different cultures and different lives find they have one thing in common in a foreign place, that being Costa Rica. They are there for different reasons. One to help his family, the other to deal with the grief and emotions of losing his brother. Lucas- Was a shortstop in college. He sold real estate til his brother died. Miguel- Is from Venezuela. He moved to Costa Rica to provide for his Mom and sisters after their dad walked out. He is a baseball pitcher and construction worker. Jackson- Lucas’ old college roommate. Taylor is Jackson’s mate. Flow/Continuity: The intimate scenes fit the story. Conflict & Climax: Lucas and Miguel have a bit of a language barrier but work their way through it. The friendships are fun and have a natural easiness to them. Editing/Formatting: The chapter headings are characters’ names. Priced: Comparable to newer releases. Conclusion: An Mpreg romance. They crossed the language and country barriers to form a relationship. This is a sweet story which battles issues for a happy ending. I always like when the authors write with a reality on Mpreg, making it feel they are truly pregnant. Miguel’s actions when he finds out he is pregnant is classic, as well as the morning sickness and aversion to certain foods cooking. This is a good collaboration of authors. Readers will want to know if the book contains sexually explicit content. Previous Adam’s Trial Review ~ A touching rich love story … 9 out of 10! Next His Steamy Summer Review ~ An enjoyable read … 8 out of 10!